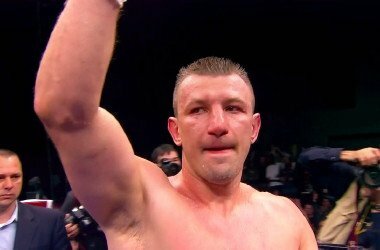 You can now add the name Tomasz Adamek to the current list of once great fighters who simply cannot say goodbye and stick to their retirement for good. Once a terrific light-heavyweight and cruiserweight – winning world titles at both weights – Adamek fell short as a heavyweight (although even here, “Goral” picked up some meaningful wins over good names). The 40 year old last boxed a year ago, when he was quite brutally taken out by heavyweight contender Eric Molina, who KO’d him in the tenth round in Poland. That loss seemed to signal the end for the two-weight ruler, but now he is set for a June 24 fight, once again in his homeland, against New Zealand’s Solomon Haumono. It’s unclear if Adamek, 50-5(30) is coming back with the idea of having just one “final” fight, or if he is planning on sticking around more permanently. Adamek, reportedly “missing the adrenaline being in the ring brings,” last scored a genuinely meaningful victory back in December of 2012, when he scored a heavyweight rematch win over Steve Cunningham; Adamek picking up a debatable split decision in Pennsylvania, US. Who knows what Adamek, a pro for a long and at times hard 18 years, has left to offer today. Haumono, a year the older man at age 41, is currently 24-3-2(21) and is coming off a July 2016 stoppage loss to reigning WBO heavyweight champ Joseph Parker. Strong, determined and carrying some power, Haumono could possibly have too much sheer desire for the current version of Adamek. As has almost always been the case when he has fought as a heavyweight, Adamek will be the smaller man against the New Zealander.